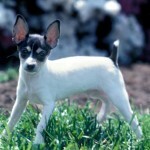 Toy Fox Terrier is among the separate breeds of the large dog family- Fox Terrier. 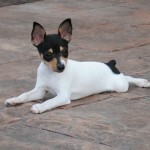 The Fox Terrier family of dogs is normally active and they have muscular and athletic bodies. They are considered to be very strong. 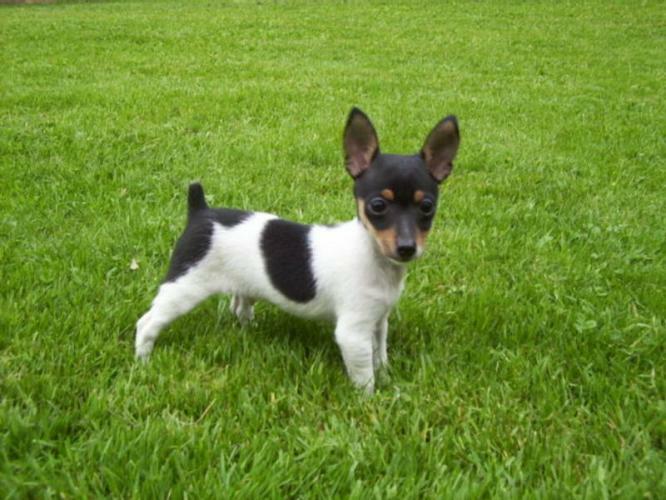 There are other small breeds which have a close genetic formulae as Toy Fox Terrier. 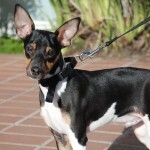 These breeds include Chihuahua, Manchester Terrier and British Toy Terrier. These breeds are brought about through mating between these species. 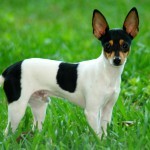 Toy Fox Terrier was as a result of mixing crosses from Smooth Fox Terrier of England with a variety of small other breeds. This was done in the United States which is the country of origin. The first breeding was done way back in 1939 and the pet was registered by the United Kennel Club. A group of dog fanciers tried to form a Fox Toy organization whose recognition by ACK was finally reached in 2003 after several struggles. Since then, the breed become has become so popular because of its charming and lively characteristics. 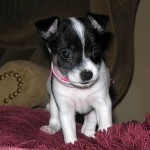 They are into two breed groups: Toy Dog Breeds (ACK) and Terriers Dog Breeds (UCK). 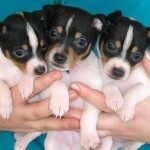 Toy Fox Terriers are very strong health wise, they are not prone to diseases easily if they are well taken care of. 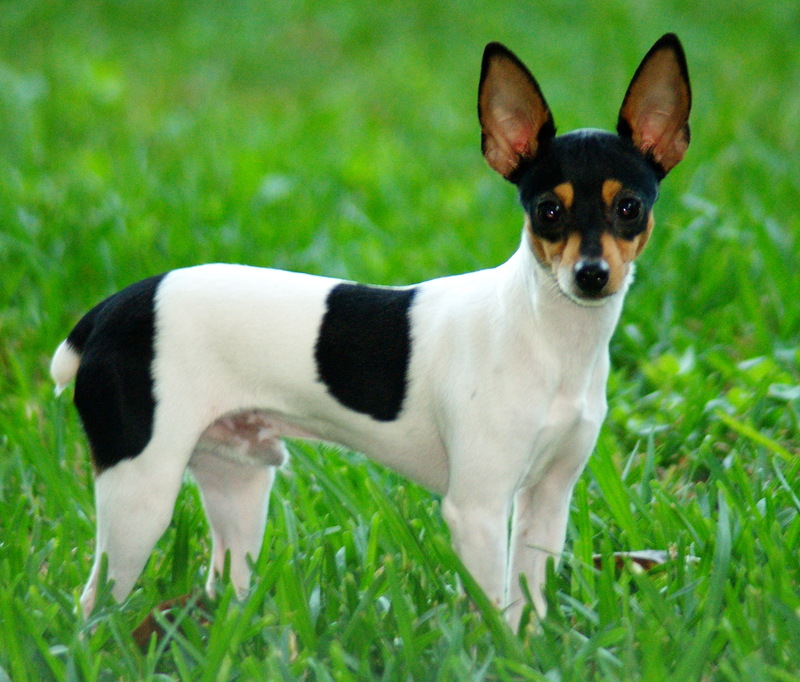 The Toy Fox Terrier has very unique temperament and strong personality. They are active and lively. 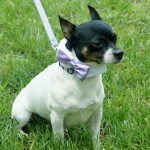 They are equipped with great traits making them one of the pets for companionship in various homes. 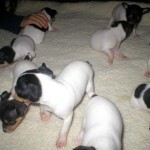 The Toy Fox Terriers are smart and they play a lot in their life time. This type of dog is one that is hardly intimidated or scared by other pets, they are strong, and sizeable. These dogs are alert and they can be up to defend you in case of an enemy attack; they are good watchdogs which can give maximum security. They are generally perfectly vigilant, and they can raise alarm whenever a foreigner or a person they have never is seen coming into the compound. 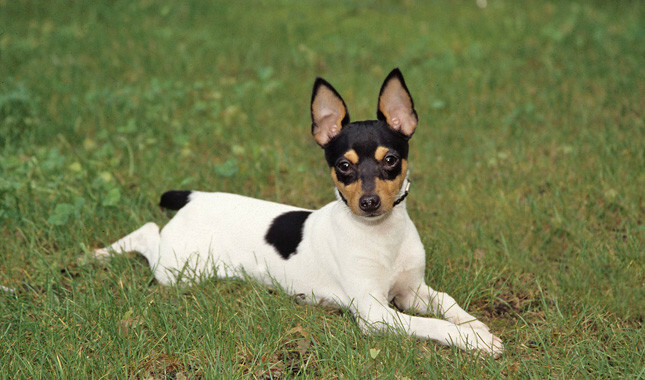 The Toy Fox Terrier exhibits traits that suggest that it should be treated as one of the family member; they deeply bond with persons who spend most of the time with them. They like being treated with care and affection. This type of dog is an excellent and perfect selection for people who could wish to start rearing or taming pets at home. 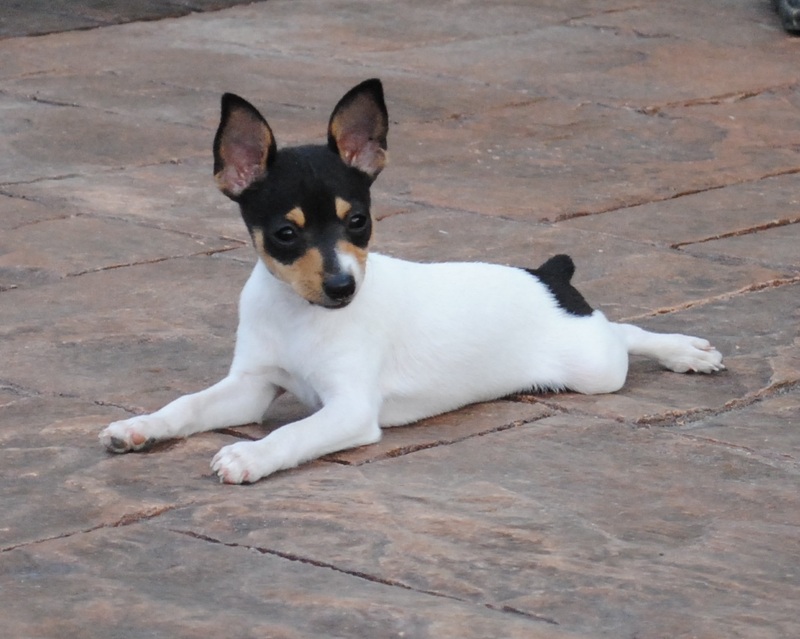 The Toy Fox Terrier is a smart choice because of the adaptable traits it has. The Toy Fox Terriers are flexible when it comes to activity requirement. They do not need much attention or involving activity. Mostly, they like playing with a ball. You may throw the ball or tie the ball to swing freely as the dog chases the ball in a pendulum. The dog will definitely enjoy such activity. Take the dog out with you when you do you jogging, jog with it, through this way, the dog will be very active and engaging. These dogs are very intelligent and they will catch well during such activities. These dogs are usually small; with such size it is not difficult to rear them in any compound if in an apartment, and the dog does not need a bigger space for its activity making it the best choice for taming. 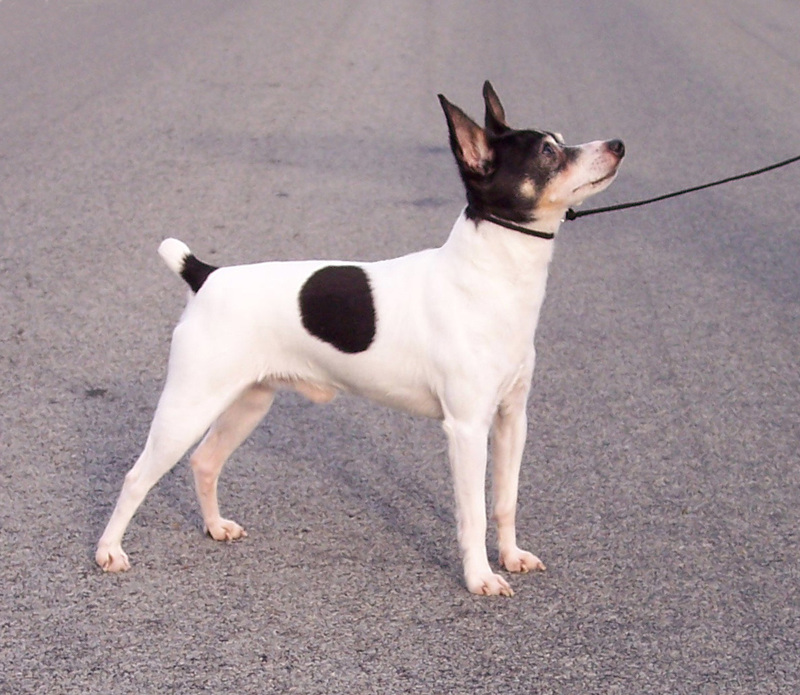 As mentioned above, Toy Fox Terriers are intelligent, they grasp skills real quick. Training this particular dog is easy, because it will catch up with the training very fast. To train Toy Fox Terriers, all you need is patience and on how to train the pet. Mostly, when training Toy Fox Terriers, ensure you do not harass it or tend to use force like physical punishment to train it, it tends to loose interest in the training. You need to be patient as the trainer and it will behave nicely during the training. No need for a big training ground or space, they are very small and they can be easily trained in the house using the available household items and they will catch up real quick. 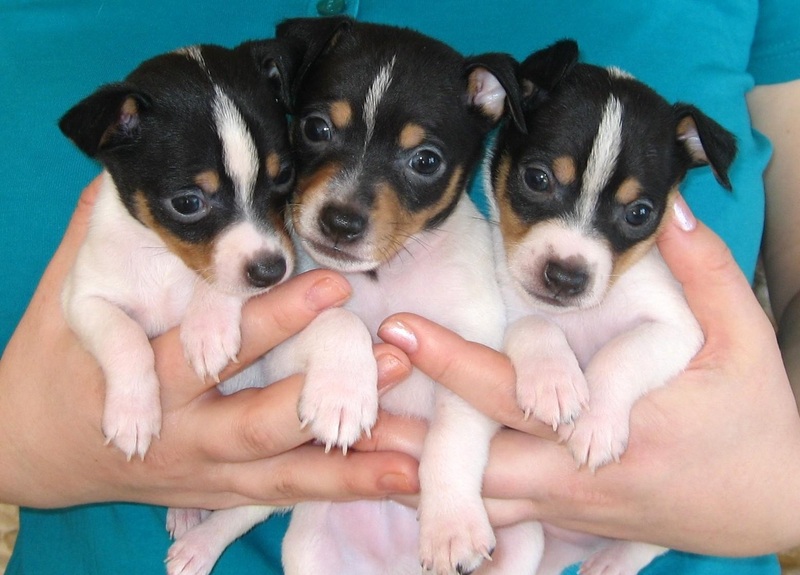 Toy Fox Terriers bark loudly and they do it frequently if they are provoked or they spot a stranger/ a strange thing. In the compound or house ensure the little kids do not disturb the dog as it will bark or even bite the kid. 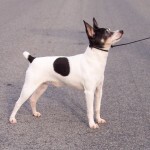 The Toy Fox Terriers have a strong athletic body. The have a head which is defined as being ‘a moderate stop’. 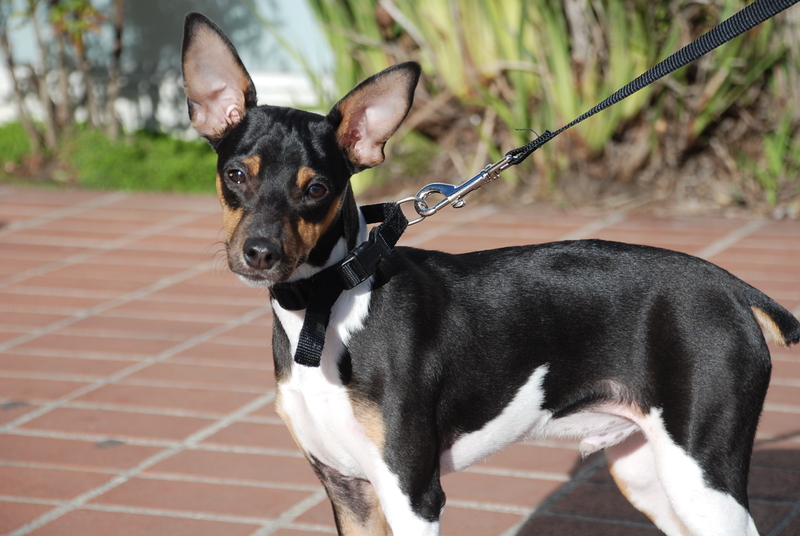 Their coat is glossy, they posses dark eyes, V-shaped ears and the general body is short and stunt. 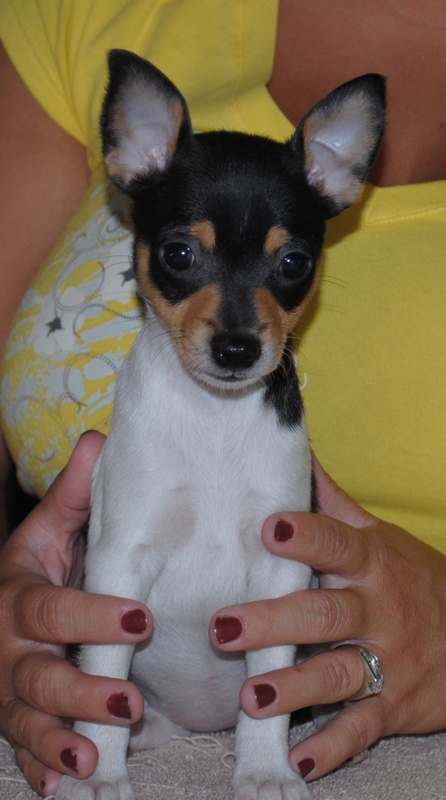 A well grown Toy Fox Terrier should be of height between 21.5 to about 29.2 cm. The weight should be 3.5 to 9 pounds. 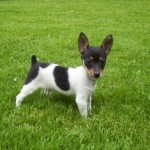 Usually, Toy Fox Terriers have smooth and fine coat. 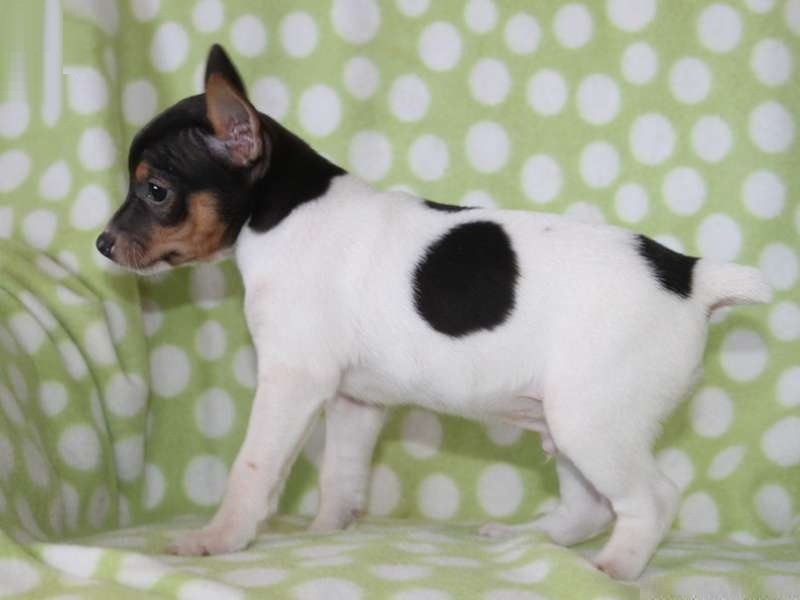 While most Toy Fox Terriers are white in color, other terriers may have a series of combined colors like black and white, tan and chocolate, white, chocolate and tan. To keep the animal healthier, check its ears regularly, trim the feet, check the kennel and ensure you brush the coat frequently. 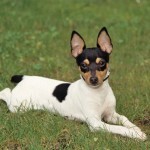 With those simple grooming activity on the dog, you will be assured of a healthy Toy Fox Terrier. Ensure the dog has an adequate sleep. Dogs are known to be carnivorous, so their diet should largely comprise of meat. Ensure the kennel is set in a right place with the recommended temperature. The puppies should be kept away from children who may injure them innocently. 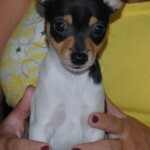 You should visit the vet to give you the right foods that are fed on the Toy Fox Terriers. They can be also given foods rich in proteins which will in turn give the dog enough calories; dogs use a lot of energy. 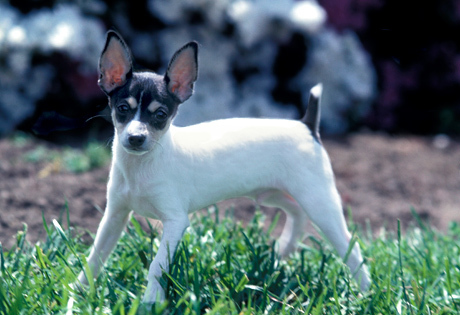 The Toy Fox Terrier has its origin from America. Theirs is the Terrier breed. They have a life span of between 13 -14 years. It has a height of 21.5 to about 29.2 cm. It weighs between 3.5 and 9 pounds. It needs adequate sleep in a day. 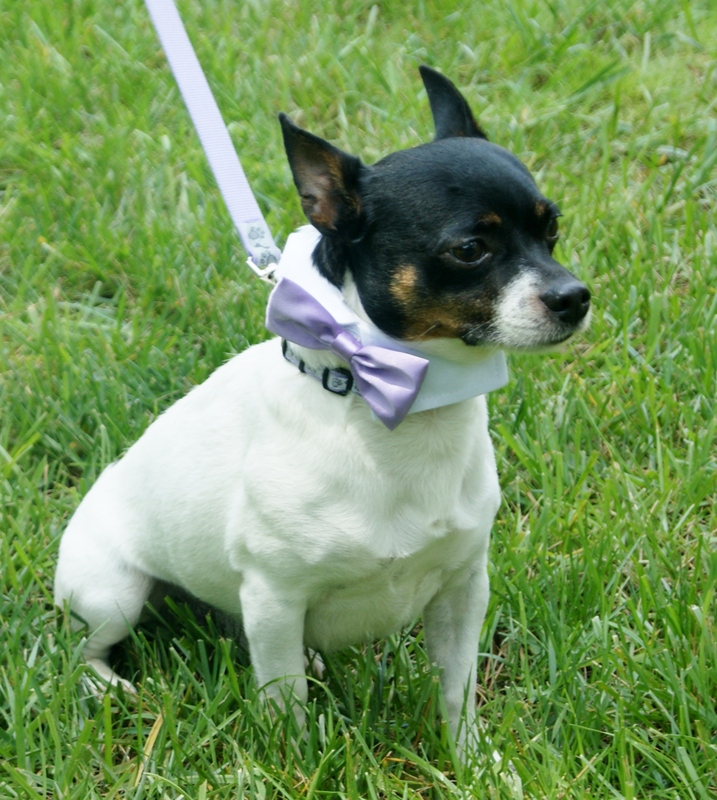 Lower classifications include Smooth Fox Terrier and a number of other toy breeds.